Are you ready to review for standardized tests? 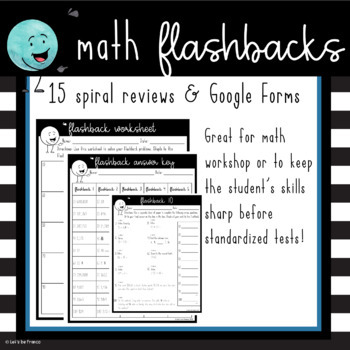 Or do you feel like you need to spiral review the standards periodically throughout the year? These flashbacks are perfect for you! 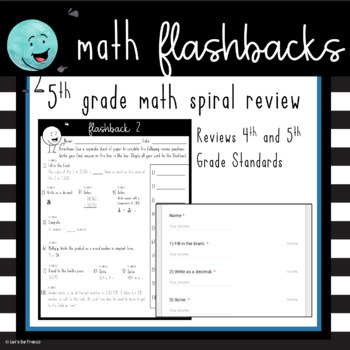 This download is meant to review the 4th and 5th grade Common Core Standards. In my classroom, I use this as a quick refresher after a chapter test. 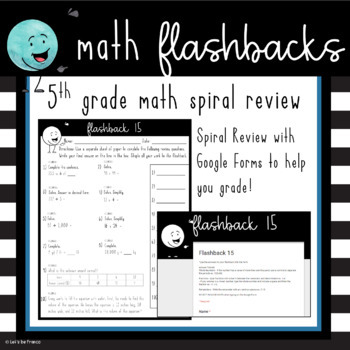 I have the students complete a flashback and then type in their answers in the provided Google Form. 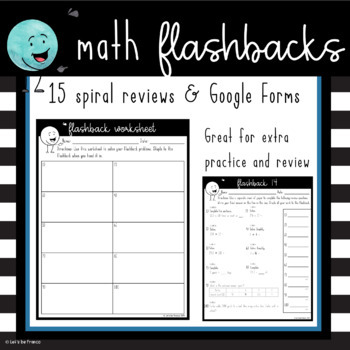 The Google Form grades the flashback for me so I can see who needs more review! Another way to use the form is as a station in math workshop. Looking for some more of my products? Check out my store! Go to your My Purchases page. Beside each purchase, you will see a “Provide Feedback” button. Click it and give a rating and leave a comment! You will have credits to use on future purchases. Look at the green star near the top of the pages in my store and click to become a follower. You will then see my updates!